Earlier this year, 2017, Nokia 3310 got a new lease of life with its 2017 edition. The new handset came with several features but skipped an essential element, high-speed internet access. Though the handset supported 2G internet access, web experience at snail speed is not acceptable anymore. In order to enhance the web experience, the company re-launched its product as Nokia 3310 3G. This new variant offers relatively faster internet access, and it will be available in Australia from 16th October for AUD 89.95(approximately Rs. 4,600) through Optus and Vodafone mobile carriers, and its “global average price” stands at EUR 69 (approximately Rs. 5,320). 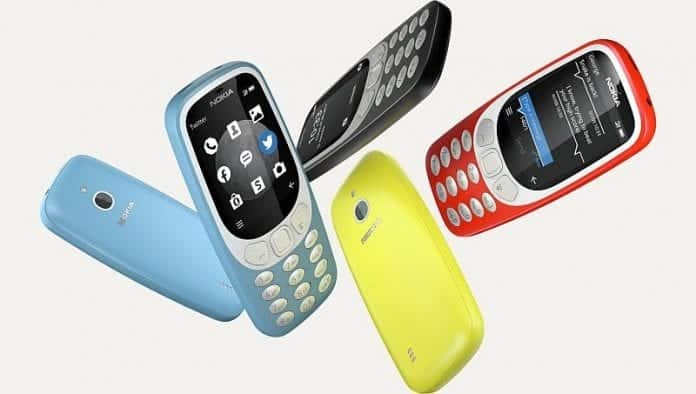 The new Nokia 3310 3G along with its high-speed data connectivity has a customization option for rearranging icons and color themes and the handset has been marketed as all-new customizable retro UI. The new Nokia 3310 3G, just like its original sibling, highlights a removable 1200mAh battery that is claimed to offer 24 days of standby time for dual-SIM variant, and it’s classic Snake game which has been optimized for the new color screen. The new handset is integrated with a 2-megapixel primary camera with LED flash and a Micro-USB port. The phone is also equipped with Bluetooth 2.1 to pair with external speakers and other phones. In addition, the handset runs on ‘Feature OS powered by Java’. It also sports a 2.4-inch QVGA (240×320 pixels) color display. Other features include FM radio, 64MB storage and supports up to 32GB microSD expandable storage. The handset measures 117×52.4×13.3mm and weigh around 88 grams; and available in Azure, Charcoal, Warm Red, and Yellow color options. Whereas In India, Nokia 3310 supporting 2G data service was launched in June at Rs. 3,310; however, there is no news regarding it next launch of its upgraded 3G model. In the meanwhile, Jio Phone, which offers 4G internet access has gained popularity in the feature phone segment.